The city of New Orleans is in the process of launching a $2.4 billion project to repair the most heavily damaged streets in neighborhoods all over New Orleans over the next eight years, but Carrollton residents asked pointedly Monday night whether plans so far over the horizon have any chance of becoming a reality. The massive infrastructure project — on display at the website roadwork.nola.gov — is primarily based on money from the final FEMA settlement, bolstered by city bond money, funding from the National Disaster Resiliency Competition and other sources, said Sarah McLaughlin Porteous, the city’s spokeswoman for the project. The work is broken into 200 smaller contracts of $5 to $10 million apiece so that small businesses can compete for them, and will include road repairs of all scales in every part of the city, she said. “It is the most comprehensive infrastructure program this city has seen in over a generation,” McLaughlin Porteous said. The projects were chosen based on a citywide pavement assessment that took place in 2015, and the first 30 projects are already in design phases. Officials had hoped construction would begin by July, but because of various delays, they now expect them all to start by January 2018, McLaughlin Porteous said. The projects have been grouped into five different categories, based on how much work is needed. The least-intensive group is termed “non-paving incidentals,” and refers to repairing damaged curbs, gutters, sidewalks and driveways. “Incidental road repairs” will add asphalt patching; “Patch/mill/overlay” refers to a full repaving of the top of the street from one curb to the other; “Patch concrete” involves replacing sections of damaged concrete roadbed, and “Full reconstruction” is rebuilding the entire street from the bottom up. In almost all projects, city officials will also inspect the underground utilities and replace it as necessary, McLaughlin Porteous said. The city is actually starting with the easiest projects first, because they are the quickest to design, and full reconstructions will occur during the latter half of the eight-year program, sometime in 2021 or after, McLaughlin Porteous said. The city is also repairing only single streets in each neighborhood at a time, so that too many detours are not necessary and residents can still access their homes. The two dozen or so members of the Central Carrollton Association gathered at the Central St. Matthew United Church of Christ for Monday’s meeting emphasized that some streets in the neighborhood are becoming almost impassable. Parts of Lowerline have sunk so deeply next to driveways that residents can no longer get their cars in and out, and the sides of Sycamore and Adams have collapsed so completely that it is essentially a one-lane street, too narrow for two cars to pass side-by-side. “There are plenty of areas in our neighborhood where that occurs, and it is not safe driving,” said neighborhood organizer H.V. Nagendra. When one resident asked why the highest-priority projects aren’t being tackled sooner, McLaughlin Porteous replied that they take longer to design, so putting them first would delay the whole program. “If we waited for that, we would not be doing work we could get more quickly,” McLaughlin Porteous said. If the street survey was done in 2015, but construction is not actually beginning until 2018, then the roads can reasonably be expected to have three years’ more damage, Nagendra pointed out. Neighbors asked if they will have the opportunity to point out omissions in the city’s plan, and McLaughlin Porteous urged them to review the projects at roadwork.nola.gov and send in any comments they think are necessary. Once the project have been designed, each individual project will also receive a public meeting — the city has already begun setting dates for the list of the first 30 projects in the list, McLaughlin Porteous said. Resident Ray Nichols said he had been impressed with the city’s outreach on the project so far. Others, however, asked whether they could be confident that the later projects in the plan will actually take place. If the earlier projects may possibly be revised to include more work based on public input, than it stands to reason that the pool of money for the later, larger projects may dry up before the latter half, they said. “If the condition demands greater funding that what has been allocated, it will never get fixed,” Nagendra said. The city is already looking for more funding sources for roadwork to make sure the program continues even past the $2.4 billion already allocated, McLaughlin Porteous replied. That answer did little to assauge the worries of whose whose streets are scheduled to start construction in 2021 or later. Even with all the plans and schedules online, some neighbors said they could not parse any logic to what they were seeing. 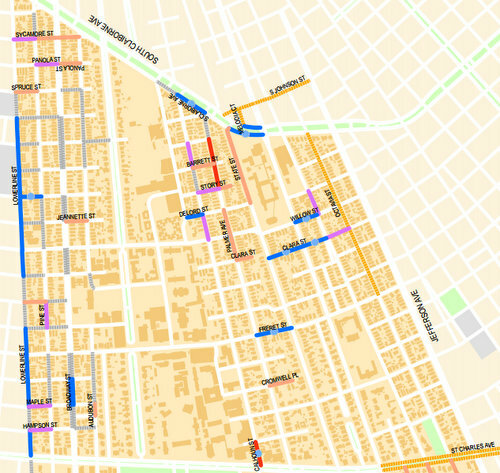 For example, Pine Street is scheduled for no work at all; Lowerline (a block over) is scheduled for incidental repairs; and Adams (the next block) will get a full reconstruction — while all had similar damage from the flooding after Hurricane Katrina and subsequent degradation. I normally don’t say this, but the City is completely full of baloney! 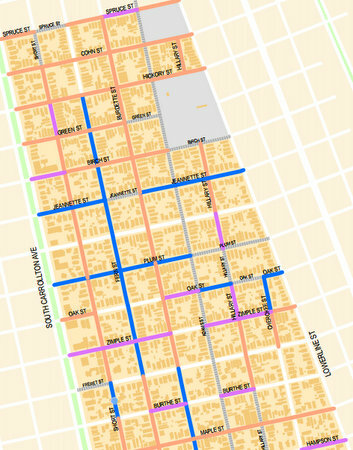 When 2023 comes (yes, that’s when some of the streets originally scheduled for work in 2007, then 2009, then 2012, then 2016… were slated for repairs! ), you will suddenly find the new date is 2030. The next three administrations have zero obligation to stick with current plans. Zero. Even the current administration hasn’t stuck with its own plans; so far as I can tell, the entire “process” consisted of (a) raising false expectations, (b) lying to FEMA about how much damage Katrina caused, (c) moving money around that has been in place since the 1980s, (d) raising the City’s bond rating and floating more bonds, (e) holding public meetings and press conferences (at which public officials are paid overtime), (f) hiring more out-of-town contractors, who (g) pave little bits here and there — SLOWLY — and then (h) get paid extra to come redo the work once it fails a few months later. I ASK YOU: IS THIS PROGRESS? WILL WE BE HERE WHEN THE WORK FINALLY GETS DONE? I seriously doubt it. I will be dead. P.S. 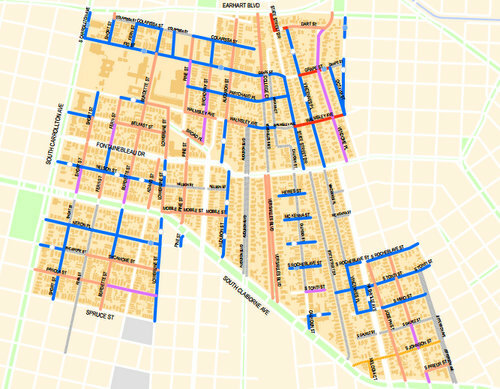 It’s worth mentioning that many New Orleans area streets have not been repaved, much less rebuilt, since the 1950s, and the expected lifetime of asphalt roads is around 20 years. You do the math. Divide the number of miles being reworked annually by the total mileage of paved roadways across town. This project can never end. You have made very valid points. For certain, if it were not for FEMA – the City would be shyt outta luck to do anything on its own. I moved from the area 7 years ago and have stayed in touch via 1 news outlet we still can view. It is almost like Deja Vue with all the Announced city wide candidates. There WONT BE ANY REAL CHANGE. The only person I can visualize and has the passion and vision to REHAB the City is a former street cleaner in the Quarter. The CITY NEEDS A TRANSFUSION OF NEW BLOOD, IDEAS, and PASSION – not political passion. I know what it means to miss New Orleans – i have missed since it started on its downward spriral in the 70’s. SAD !! !